Medical malpractice in any form represents a terrible breach of the bonds of trust that are supposed to exist between doctor and patient. However, when medical malpractice compromises the health and quality of life of a newborn child, the consequences are particularly tragic. If a child has suffered a birth injury due to the negligence of a medical professional, the White Plains personal injury attorneys of Worby Groner Edelman, LLP. can help the parents obtain the full measure of damages to which they and the child are entitled. These damages will not truly compensate for the pain and frustration parents feel as a result of their child’s injury, nor will it restore the health of which their child was deprived. It can, however, help to relieve some of the unexpected financial burdens parents are now faced with, as well as those that will surely present themselves as they provide necessary care to their child in the future. Parents should not allow the medical professionals whose incompetence harmed their child get away with their negligence. By securing the services of the White Plains birth injury attorneys of Worby Groner Edelman, LLP, parents can ensure not only that these individuals be held accountable for their wrongful actions, but also that future children can be spared fates similar to their child’s. For further information about birth injury cases, or to schedule an evaluation of a birth injury case, please contact the personal injury attorneys of Worby Groner Edelman, LLP, in White Plains today. 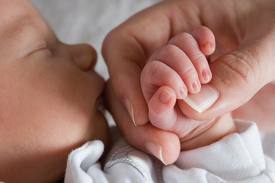 Not all instances of birth injuries constitute medical malpractice. Medical professionals are held to a reasonable standard of care; they are neither expected to be perfect nor are they expected to be miracle workers. In some cases, despite the best efforts of the delivery room personnel, birth injuries cannot be avoided. And the patient suffered demonstrable losses and expenses related to the injury. Time is of the essence in any personal injury case. If a child has suffered cerebral palsy, Erb’s palsy, shoulder dystocia, or any other birth injury as a result of medical malpractice, call, email, or visit Worby Groner Edelman, LLP, in White Plains today.